Here Sonny gives viewers a look behind the scenes at Sonny’s Piano Warehouse and highlights some of the movers, technicians and refinishers as they work. 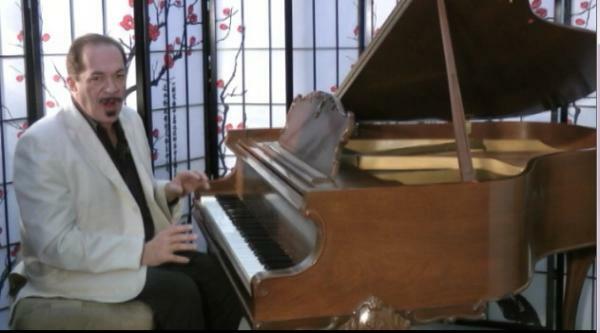 See Sonny’s PianoTV Show here! Sonny creates a wide spectrum of improvised music on several beautiful Grand Pianos for sale at Sonny’s Pianos in Holbrook NY., including three Steinways, a Baldwin, a Kawai and a Brand New Albert Weber Grand Piano. He also gives some tips on how everyone can play piano for health & well being. 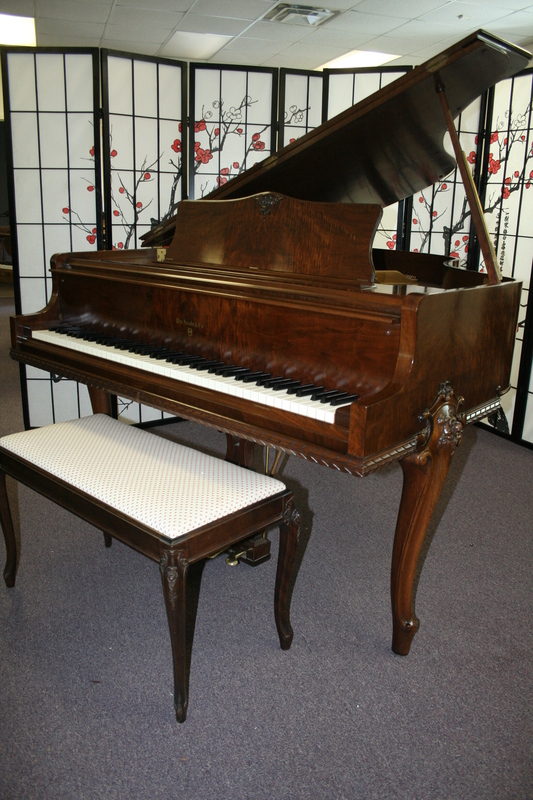 Art Case Wurlitzer Baby Grand Satin Walnut 5’1′ 2005 $4500. Art Case Wurlitzer Baby Grand, beautiful Walnut by Samick. 2005, 5’1″ Pristine, snappy action, bell like tone, clear, crisp. Make a great center piece for your living room or restaurant or performance space. Pretty furniture piece, fine instrument. Low mileage. Questions? Call Sonny Direct 6731 475-8046. Warranty. 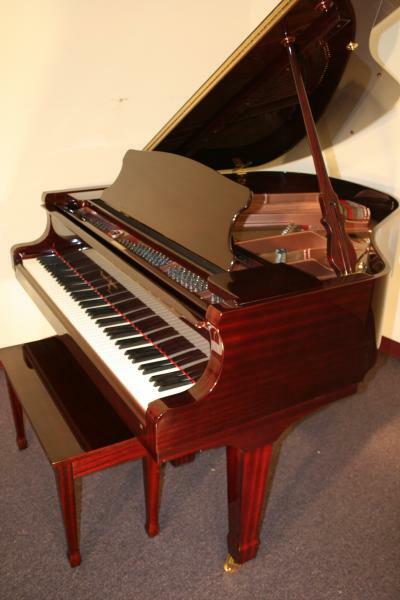 Steinway Grand Piano Model A3 6′ 4 1/2′ The Stretch Rebuilt/Refinished Mahogany $27,500. Steinway Grand Piano Model A3 "The Stretch"
Steinway Grand Piano Model A 6’4 1/2″ known as the “stretch “A” because the usual A’s were either 6’1″ or 6’2″. This is a 6’4 1/2″ and they only made a few thousand of these from around 1913-1928. This piano is more like a B than an A yet has a refinement that you will find in very few Steinways or other pianos. Legend has it Steinway stopped making these because it was competing with the B in that it played and looked very similiar but cost significantly less then the B at that time. Steinway only recently started making A’s again but not this design. They are making one’s that are only 6’1″. This particular A3 was recently restrung, has new pins, new dampers, bridge caps, re-gilded plate, new hammers, shanks, flanges, knuckles, wippens, bushings and was just now refinished a beautiful reddish African Mahogany. The piano was just regulatd and voiced to a world class concert stage level. 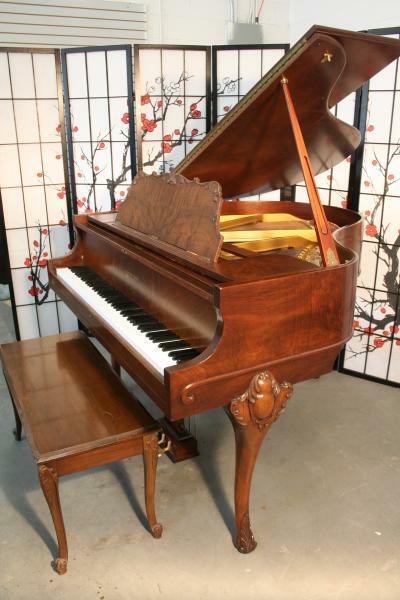 This one was made in 1914 during the “Golden Age” of Steinway manufacturing. For Questions or to make an appointment to see and play this gem call Sonny Direct at 631 475-8046. Pristine, elegant, pretty walnut art case Knabe, 5’1″ served as a furntiture piece, very low mileage, beautiful hand carved legs and decorative music desk, lyre and case. Sublime tone, ivory keys. A gorgeous furniture piece and great instrument. Just received a French Polish (several coats of hand applied lacquer applied over original finish bring out grain and give beautiful sheen. Free Long Island/NYC delivery. All else continental USA only $475. Warranty. Qustions Call Sonny 631 475-8046. 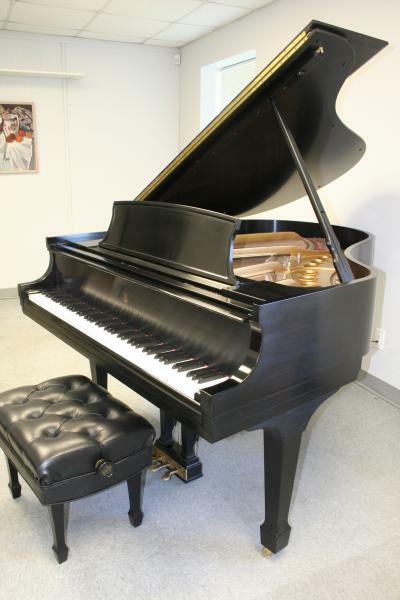 Steinway Grand Piano Model M 2005 (See Sonny’s PianoTV VIDEO) $35,500. 2005 Steinway Grand Piano Model M 5’7″ Hand Rubbed Satin Ebony Finish, pristine, mint like new condition. One owner. Piano was bought for children to take lessons but they were young and not time yet for them to connect to a piano so we have it here up for adoption. What else can be said? A 7 year old Steinway barely/rarely played, showroom condition and ready to go.Sublime tone, responsive action. As always our technicans went over the piano with a fine tooth comb and our furniture people have returned it to like new condition. So inside and outside a beautiful instrument. New M’s go for around $55k, Save yourself $20k and purchase this one. 5 year repair warranty. Free delivery Long Island/NYC. Questions? Call Sonny Direct 631 475-8046. 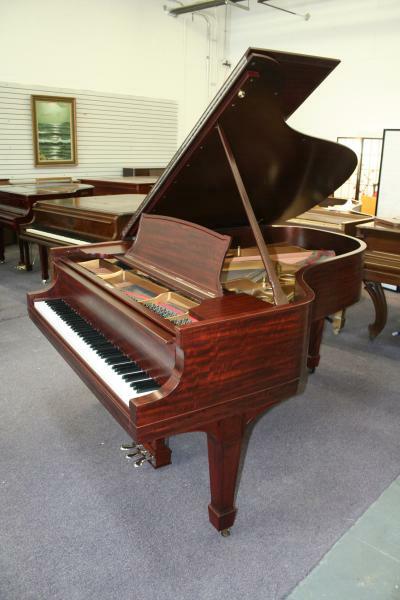 New Albert Weber Upright 51″ Rosewood, Renner Action & Hammers Like Steinway Hamburg Uses, Remarkable Piano $8500. To See More Photos and VIDEO CLICK HERE! 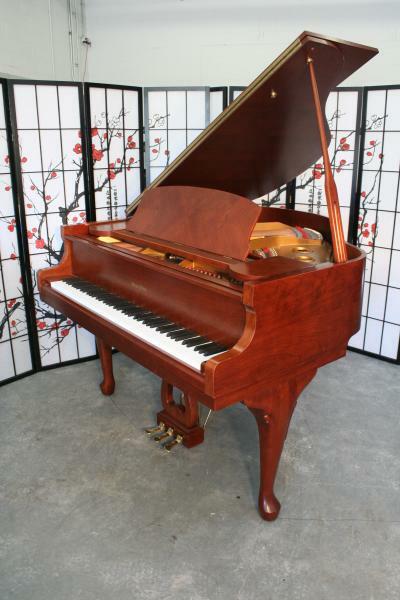 Brand new right out of the box High End Albert Weber 51″ Upright piano. “The best kept secret on the internet. In Sonny’s opinion “sounds like a Steinway Model K at a fraction of the cost”. Beautiful Rosewood with a Bubinga Inlaid. Sonny’s Pianos & Piano Advantage Piano Company in Milwaukee have entered into a partnership to sell the remarkable high end Young Chang Piano called the Albert Weber that was designed by Joseph Pramberger from the legendary Pramberger Piano Family. Joseph was the modern-day link in the Pramberger lineage of piano makers stretching back to the early 1800’s in Europe. Starting in 1958, he honed his craft at Steinway & Sons, where he spent 29 years perfecting his skills, first as a Design and Project Engineer, then as Vice President of Manufacturing. Joseph joined Young Chang in 1995 where he made dramatic innovations in sound and action design to help improve the quality of their affordable grand pianos. That led the company to produce a new line called the Pramberger Series. Mr. Pramberger saw the culmination of his work in 2000 with the launch of his own piano line, the Pramberger Platinum Piano which is now called the Albert Weber. Sonny’s Pianos is the East Coast Marketing and Sale Representative for Piano Advantage and will be selling new Albert Webers from their Warehouse and Showroom in Holbrook NY for Piano Advantage. 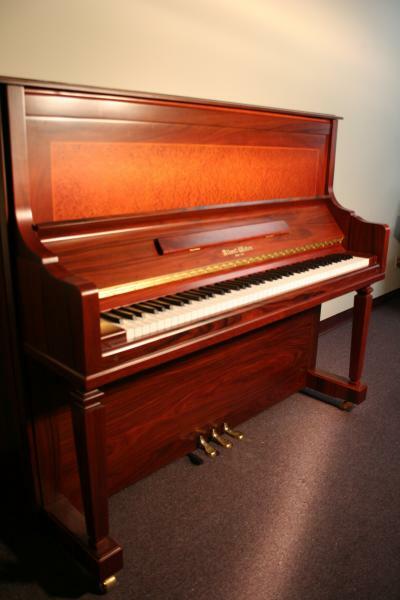 This one is a brand new 51″ Rosewood Upright. It has a German Renner Action and Renner hammers which is what the Steinway Factory in Hamburg Germany uses when they make a new Steinway. Sonnys says “I am very impressed with these Albert Weber Pianos and in my professional opinion this one is comparible to the Steinway Model K, and better then the Yamaha and Kawai Upright Pianos of a similair size but at a much lower price”. It comes with 10 year manufacturing warranty. Come play it at Sonny’s Piano Warehouse. Free Long/Island NYCDelivery. All else continental USA only $475. Questions or to make an appointment call 631 475-8046.